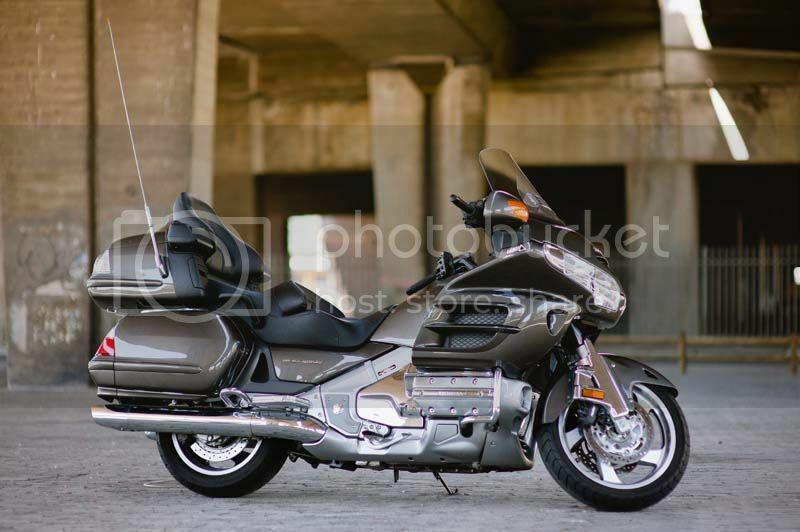 The Honda Gold Wing is a big touring motorcycle. It was introduced October 1974 and went on to become a popular model in North America, Western Europe and Australia. Over the course of its history, it has had numerous modifications to its design. In 1975 it had a 999cc flat-four engine and in 2001 it was upgraded to a 1832cc flat-six. 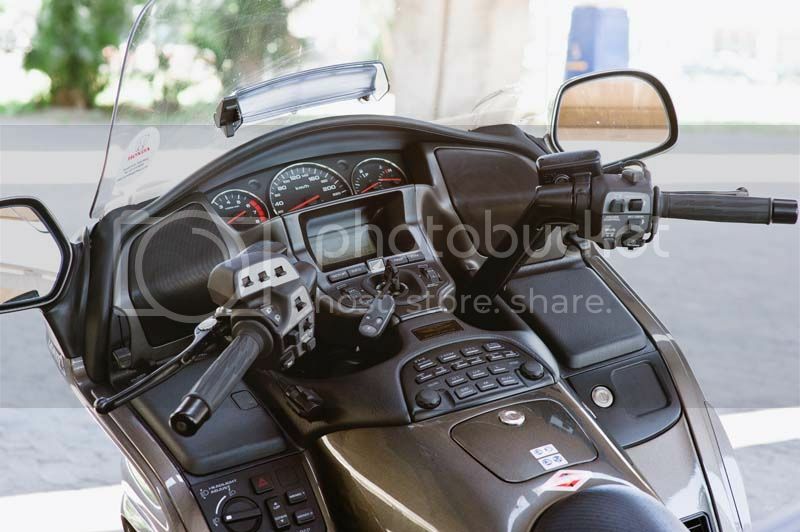 In 2010, the model had an adjustable windshield, a trunk, a backrest for the pillion rider, satellite navigation, an audio system, anti-lock braking, cruise control, electrically assisted reverse gear, and an optional airbag, none of which were present when it was introduced. 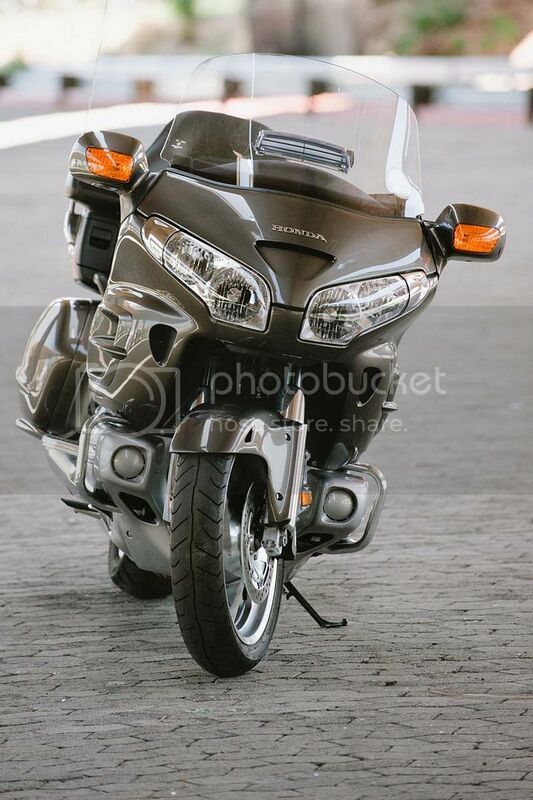 The Honda Gold Wing 2010 model, with its 1832cc flat-six cylinder engine delivers a very usable 88kW. Maximum torque, 167Nm, is reached at 4000r/min, while the maximum power is reached at 5500r/min. The bike carries its weight (a claimed 403kg dry) very well. Power reaches the back wheel via an excellent shaft drive. The bike comes with a myriad of standard features. 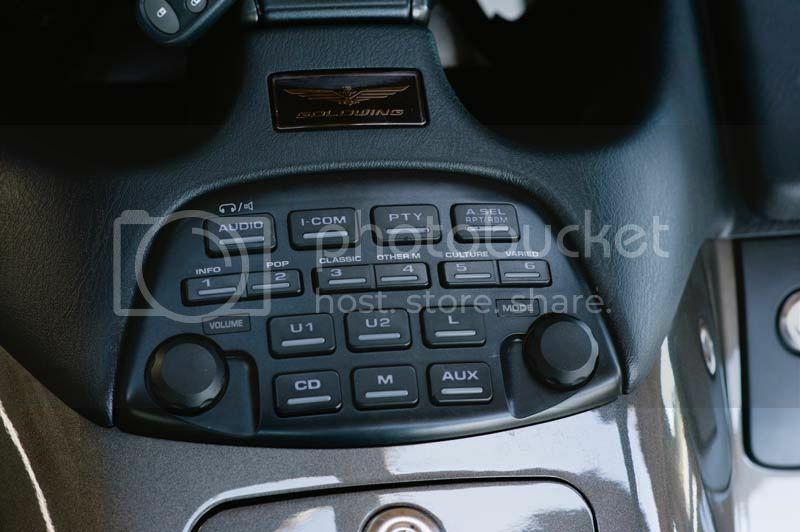 A factory-fitted, four-speaker surround sound system featuring FM/AM radio with RDS, a CD player and a MP3 player connection, which makes the longer trips an absolute pleasure. 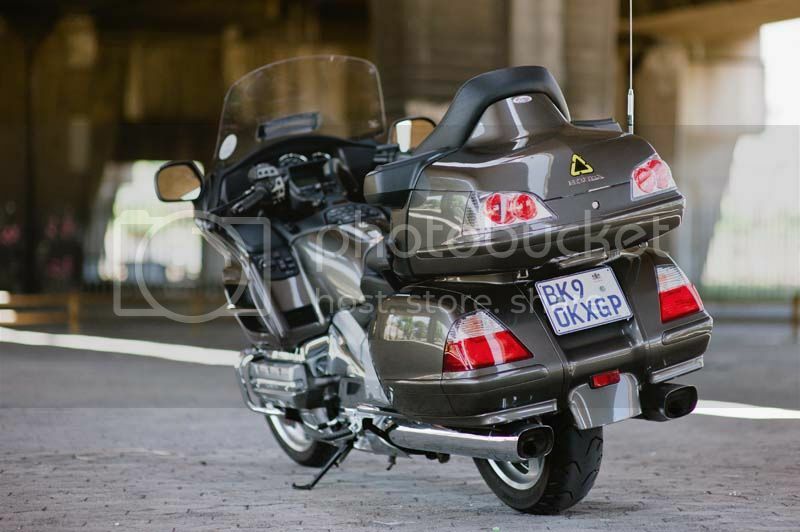 Heated grips and seats offer that little extra on cold morning trips, with the pillion having its own adjustment control (useful for preventing arguments with early-morning passengers). 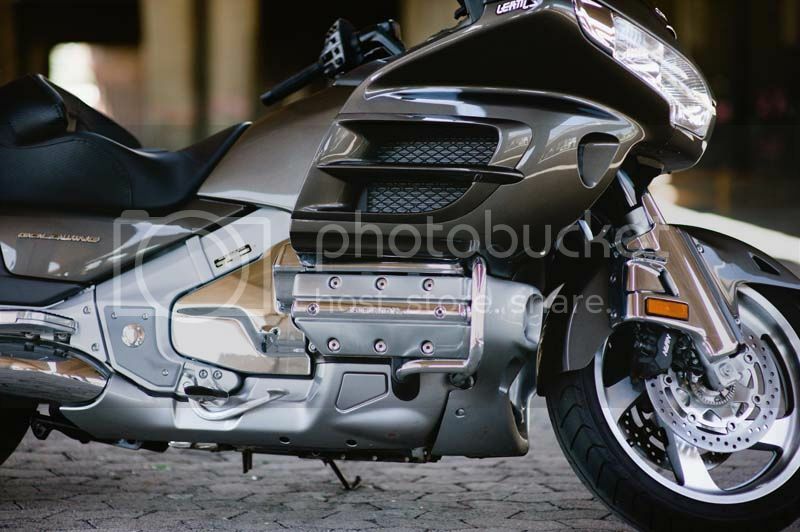 A novel feature is the heating vents, which allow the heat from the engine to be deflected to the rider, keeping the legs nice and comfy. Sadly, this feature does not extend to the passenger, who will have to be happy with just a seat warmer. The luggage carrier is large enough for the basics – a vanity case for the ladies will be catered for, with space for one or two other essentials. The Honda delivers its power smoothly and without any effort. 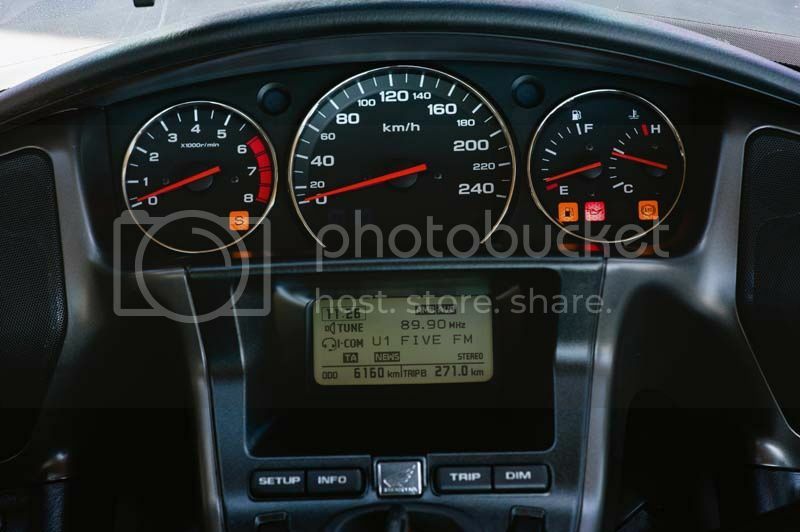 The power is generated at low revs and eliminates the need to shift down frequently. 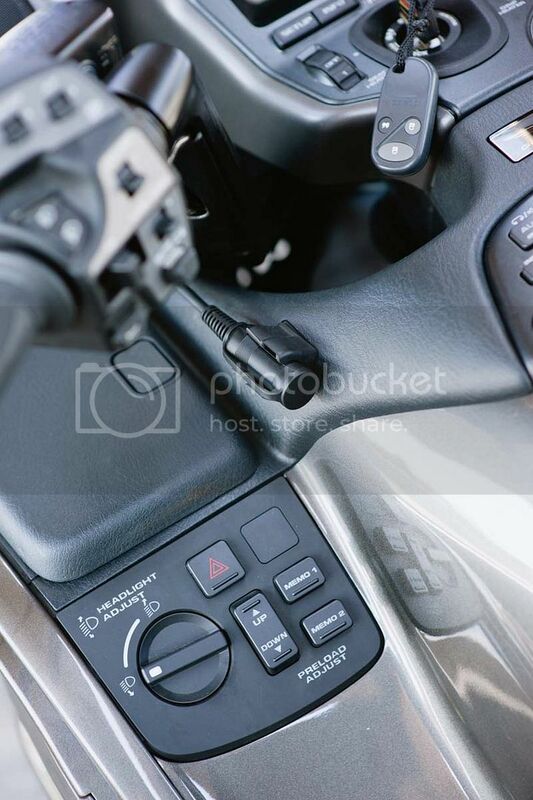 The five-speed gearbox is more than adequate and provides a positive gear shifting experience. Neutral is easy to find and changing up is effortless. One thing to note, when shifting down as one approaches a stop, some caution must be exercised, as I found that engine braking is not recommended with this bike. 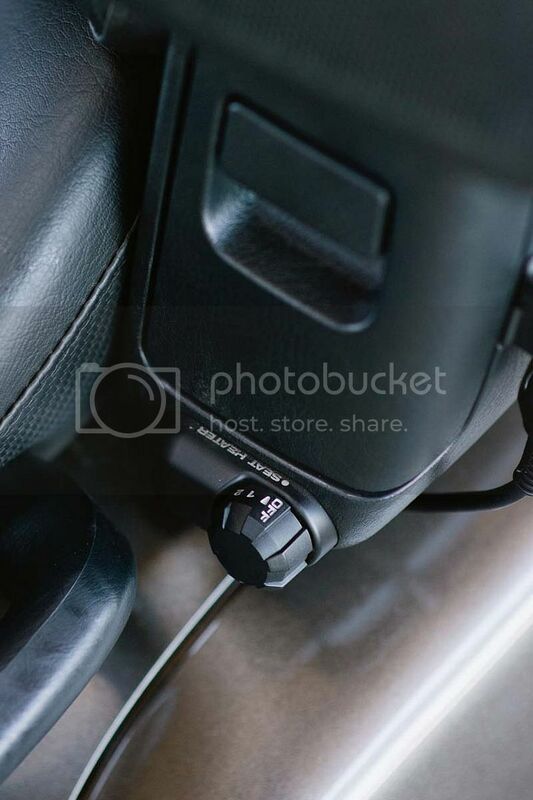 The rear wheel has the tendency to lock up under sudden downshifts. 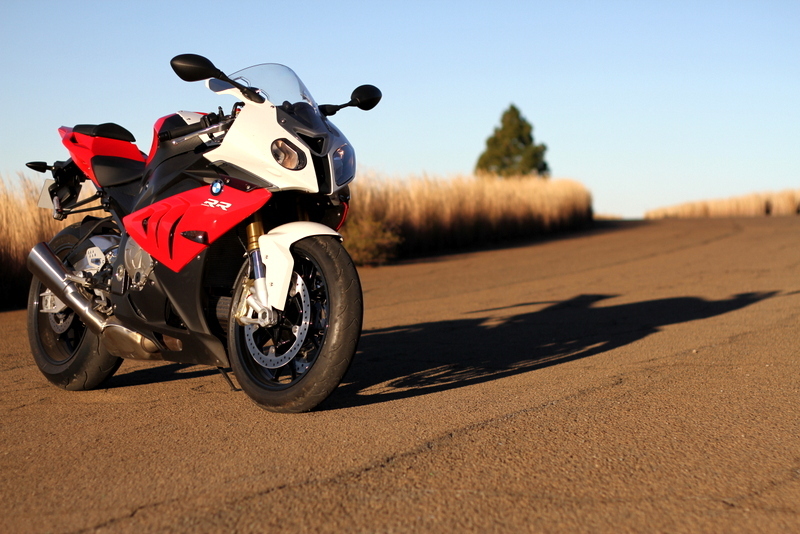 The brakes, both front and rear, are more than up to the task of stopping the big bike safely and quickly. The overall ride and comfort of this bike is excellent and is the ideal weekend bike for a long ride. Very able on the twisty bits with decent handling for such a big bike. Lots of electronic goodies to keep you interested and involved (lean sensor comes on when you get too adventurous). The air-assist Telescopic forks allow 45mm of travel and come with anti-dive technology built in, which gives a very decent stopping experience, even under heavy braking. The seat height was a common observation point from many passers-by and at only 740mm will suit most riders. Taller riders have commented that the seat may be uncomfortable on longer rides, with a very upright riding position. 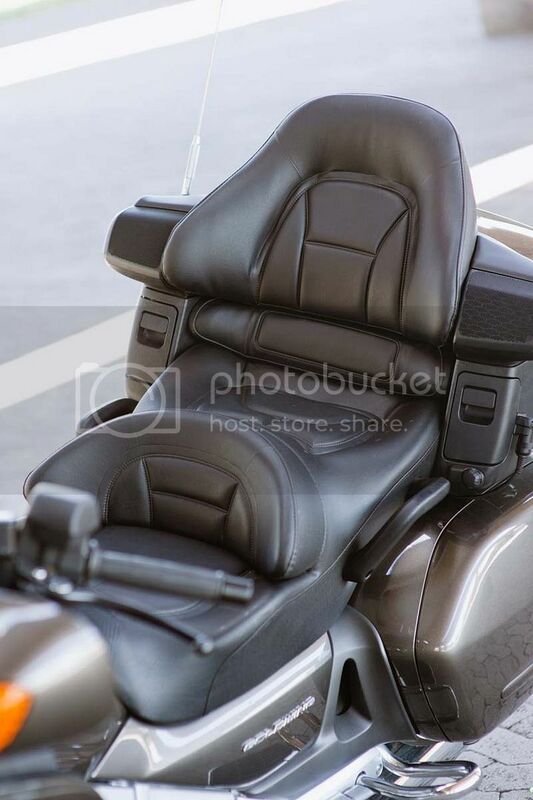 Honda would do well to look at optional foot rests as found on some of the competition’s bikes. 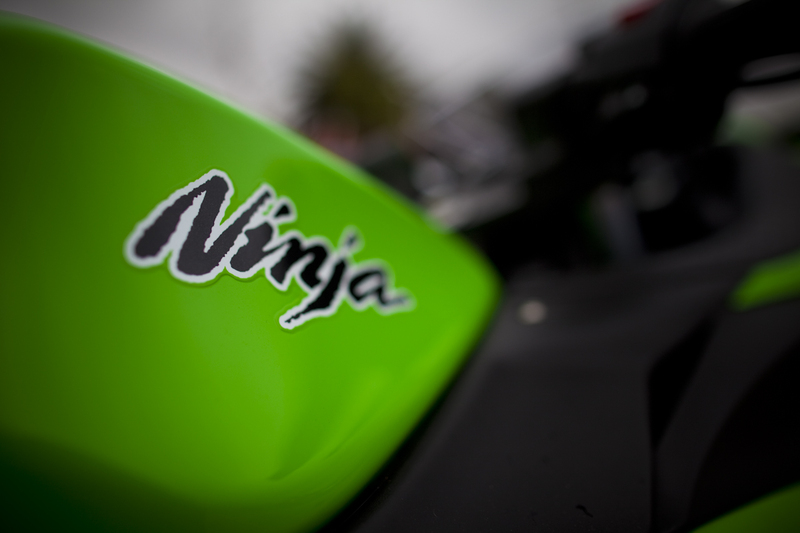 Dislike – I disliked the town riding and the weight of the bike at slow speeds. A very competent machine for the open and long roads. Designed for two-up riding over vast distances. 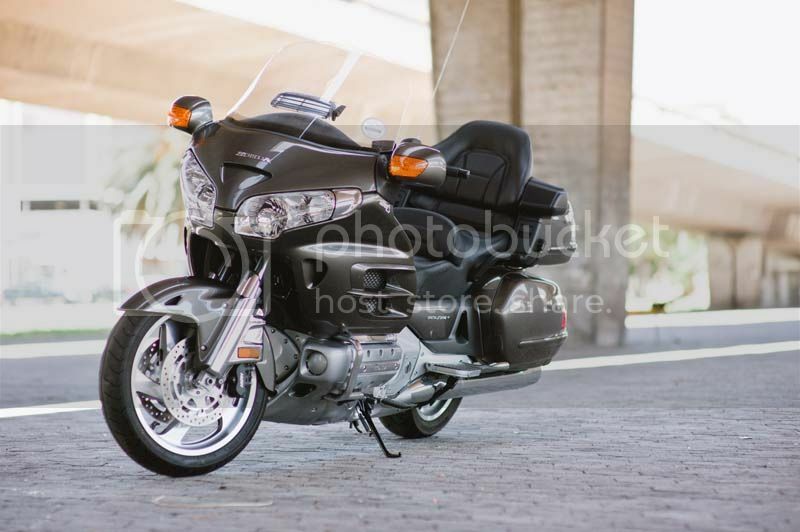 As a cruiser in a niche market this bike scores a solid 8/10. 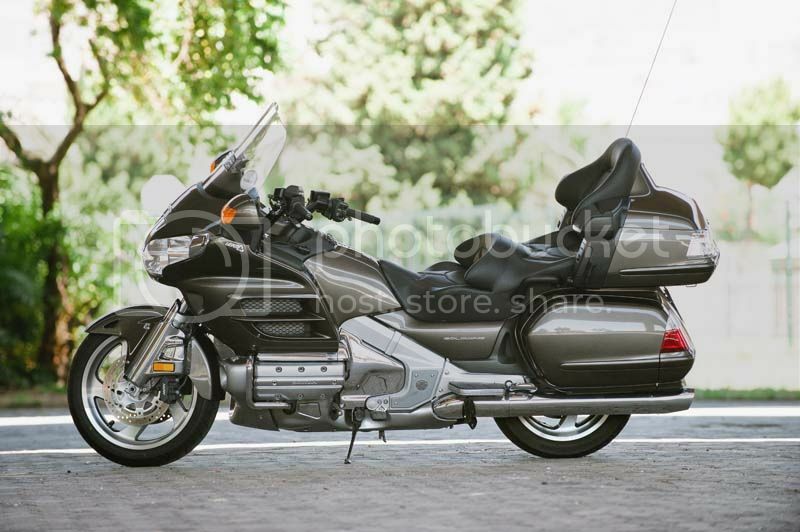 Triumph Rocket III Touring, BMW K1600 GTL, Harley Davidson Electra Glide, Kawasaki Vulcan 1700. 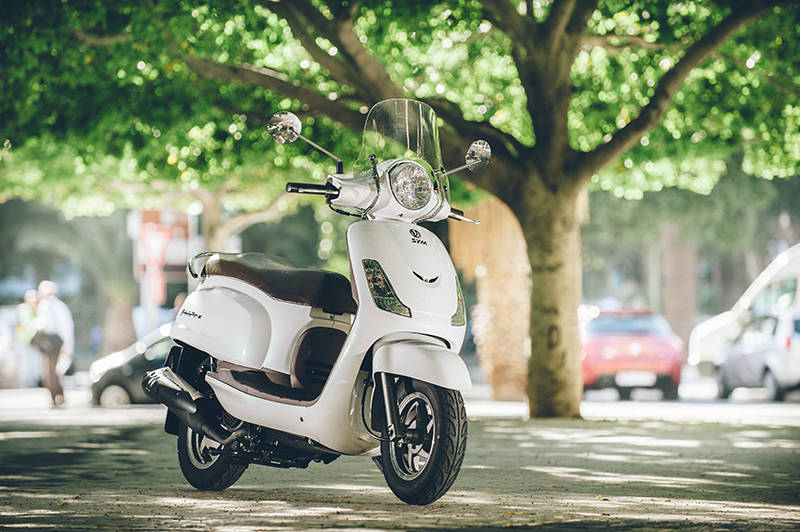 ← Honda’s brand new dual purpose lite sets off.